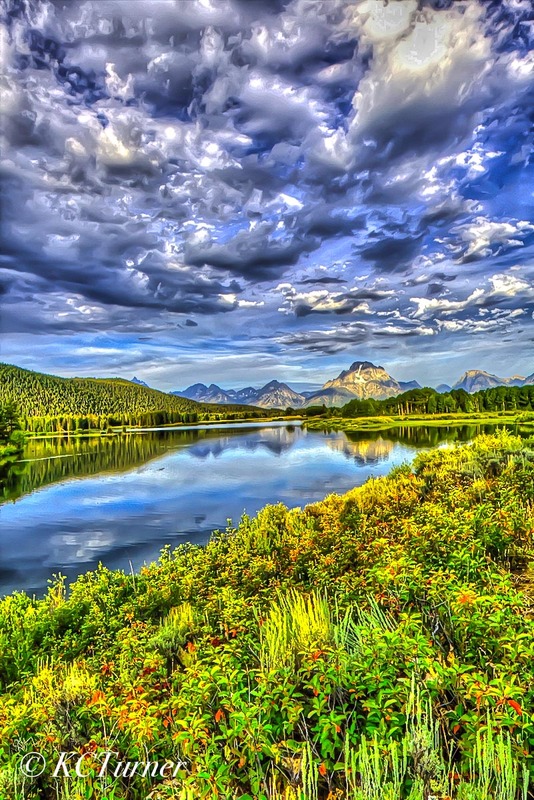 With Wyoming's Grand Tetons in the center, surrounded by beautiful flora and cloud formations, the Oxbow River meanders quietly through Grand Teton National Park creating this spectacular landscape view. Just past 5:00 AM, I waded knee deep into the marshy foreground to capture this colorful fall, early morning photograph. Photo © copyright by K.C. Turner.